Rowntree Montessori Schools is the largest and longest serving Montessori school in Brampton having been registered with the Ontario Ministry of Education since 1969. Rowntree Montessori School was founded in 1969 with 13 students in the basement of a church in Bramalea. A few years later this independent private school was moved to the former Bramalea campus. In 1988, Rowntree Montessori School was taken over by Mr. Joe Essaye, and a complete overhaul of the educational programmes was immediately implemented. Under the new management, Rowntree Montessori School grew from 37 students in June of 1988 to 120 in December of 1992.Due to the overwhelming increase in the demand for its services, a new RMS campus was inaugurated in Downtown Brampton in January of 1993. This campus experienced a rapid growth, and today has an enrollment of approximately 100 students. In September of 1997, Rowntree Montessori Schools opened its Central Park Drive campus. This campus initially served as an elementary school which housed an average of 120 students from Grade 1 to Grade 8. Presently, this facility serves as one the RMS preparatory campuses. 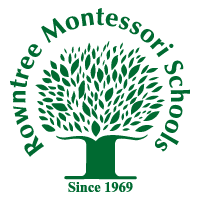 Rowntree Montessori Schools’ most significant expansion took place in the fall of 2002 when it opened its largest campus to date, the Rowntree Montessori Schools Academy, which welcomes students from Pre-Kindergarten to Grade 8. The Academy campus provides superb facilities including Science and Computer laboratories, a Music and Arts studio, a Library, a large Gymnasium with a stage, and much more to meet the educational needs of all its students. In September of 2012, Rowntree Montessori Schools proudly opened its Mayfield campus. This campus is currently experiencing a rapid growth, offers a large Gymnasium and is being expanded to include additional classrooms. Are you the owner of Rowntree Montessori Schools?